For her continuing globally-criminal behavior from the same people that she has always hated every part of since even before there was an Israel. “According to sources, Rubio, the first-term senator from Florida, is pushing for an amendment that would make “recognition of Israel” part of the legislation, sponsored by Senators Bob Corker and Robert Menendez. Under Rubio’s proposal, Iran would have to publicly recognize the Israeli regime. Israel is demanding veto-power over Iranian and American Foreign-Policies when it comes to whether or not to start WWIII. Israel’s fractured-reasoning is that Iran must agree to “Israel’s “Right to Exist”, which is something that every other nation on the planet has not chosen to testify to. Any such “right­to-exist” can only be claimed by any nation that has proven itself on the global stage. 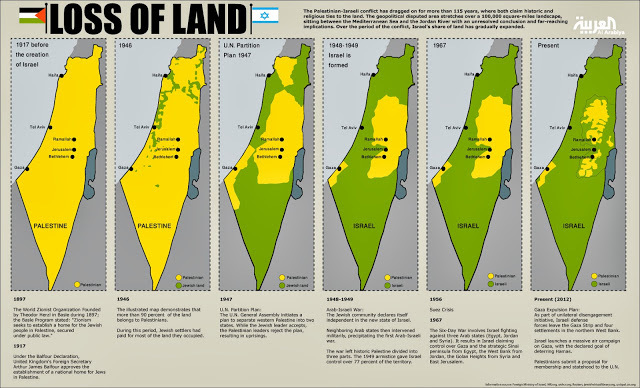 Israel is the only nation on earth that has proven itself to be unworthy of existing in any context, since everything that Israel was supposedly created for, has been nothing but lies. The people of the world were not asked whether or not they wanted to admit the false-state of Israel into the United Nations. That was another totally false paternal insertion, carried out by USI after the end of WWII, supposedly to provide a safe haven for “the Jews” of the world. Actually that act had nothing at all to do with the Khazarian’s that had secretly targeted Palestine and the Palestinians for destruction, in order to illegally replace Palestine with Israel ­ at that time the Jews in Palestine accounted for less than 10% of the population, in 1948. Millions of people were slaughtered within Israel, and the open air prison of Gaza has continued, since the supposed creation of Israel in 1948, with no change except that thousands more die every year at the hands of Israeli-troops and policies. Then there are all the attacks on other countries, one of which was Iran, which was proudly done outside all international conventions, Beyond Israel-proper millions have been murdered around the world, millions more have been damaged for life and still more millions have been displaced. The theft of all that land is and was totally illegal according to international law, but no real investigation has ever been held, because of Israel’s nuclear blackmail that she continues to hold over the rest of the planet ­ Israel is a planetary curse and a global disease that is parasitical in nature and evil to the core. Globally Israel was and still is responsible along with USI for the destruction and radiation poisoning of the planet via the Stutnex weapon which they developed with USI and used to poison the entire planet ­ via Fukushima and of course because this was done by Israel and USI there has still not been an international investigation. This is both who and what Israel has always been and none of this history has anything to do with ‘nationhood’: It’s always been about murdering, torturing and plundering the entire planet for the Khazarian Supremacy, that is hiding behind a false flag of Jewish ‘identity’ which has nothing to do Israel today. The 2 hour 20 minute and 4 second video explains it all. Israel is demanding that camera’s be placed in Iranian military facilities, to monitor Iranian military activities, as that might relate in some way to the nuclear program. Iran has refused that ‘demand” because in the past when cameras were allowed Iranian personnel were murdered by Mossad agents—something which Iran has traced back to illegal monitoring which USI is again demanding before they will agree to lift any sanctions. Iran for its part has demanded that from the moment the agreement is signed, all the sanctions against Iran must be lifted—the West is demanding something very different. Basically the West is attempting to treat Iran as an errant third grade student, in need of discipline, when the truth is the “errant-and unruly child” in this case is Amerika and their dying circle of friends in their rotting little-empire that is on its way straight to hell. When Israel’s demands are added to America’s disingenuous demands, then that is a formula guaranteed to push everything ever-closer to global-war. The proof of this is in the “plans” if anyone could dignify these words to that point, in this article from the so-called “director” of the U.S. Department of War. “US Secretary of Defense Ashton Carter has threatened Tehran with war, saying his country’s bunker-busting bombs are ready to destroy Iran’s nuclear facilities if necessary. “We continue to improve it and upgrade over time so that there is this alternative,” Carter told CNN on Friday. “My job as secretary of Defense is to, among other things, make sure that the so-called military option is on the table,” he added. The bunker busting bomb or the Massive Ordinance Penetrator can explode 200 feet underground. The threats come amid efforts by Iran and world powers to reach a final nuclear agreement following the framework deal reached in Switzerland last week. Iran has made clear to the world what will happen if and when she is attacked. Apparently the empty-suit that’s just taken over the Department of War (who has zero experience in all things military) has overlooked. Because the ‘missions’ he describes will not get to their targets, but they will instead succeed in starting World War Three ­ something that apparently has not occurred to any of the “hard-liner-hawks” that are advocating bombing Iran (again) to show the world how tough the US is—when the entire record of this nation is one of nearly total failure everywhere we’ve been militarily since the end of WWII. What the United States needs to do right now is arrest the cabal that seeks a global-war and put them on public trial for backing Israel over the United States, in a third global world war that could end the planet as we know it. That process could easily be begun by putting Obama and Netanyahu on the same stage to face a pair of hangmen’s nooses for TREASON in a time of war. After all Iran hung one of the Rothschild’s bankers for massive banking crimes, recently ­ If Iran can take responsibility for those who attack their sovereign state, then why can’t America do the same thing to protect America from the deadly-venom of Israel? 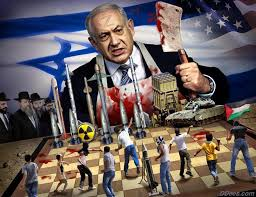 The congress has already been bought off, and Netanyahu thinks that all Americans agree with the AIPAC traitors who illegally invited Bibi to address the congress which was insulting to the American public that’s 65% opposed to the policies that the hawks want to see imposed. This is clearly treason during a time of war for any member of this government to openly side with the enemy, in this case that ‘enemy’ is clearly ISRAEL. Israel as “a state” in the community of nations is a lie and needs to have its statehood revoked by a majority of the global body of powers in the world today ­ that would go a long way toward clearing the air of treason worldwide, and if they also chose to include Amerika as well, well then maybe there would be some real hope after all for the human race as well.